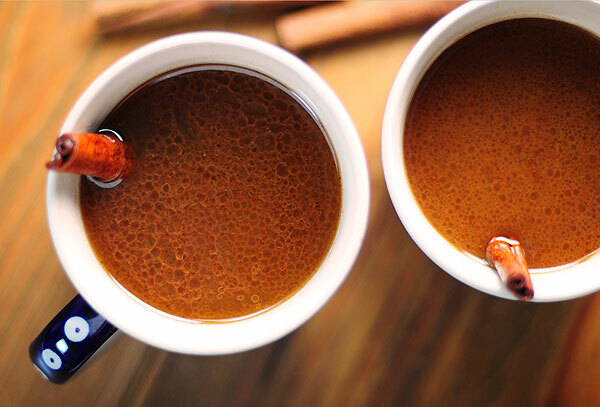 On a cold night, warm yourself up with Hot Buttered Rum. It’s festive, it’s comforting, it’s great for serving a crowd, and best of all, it’s easy! I sure do like easy, especially during these crazy, yet fun, holiday months. 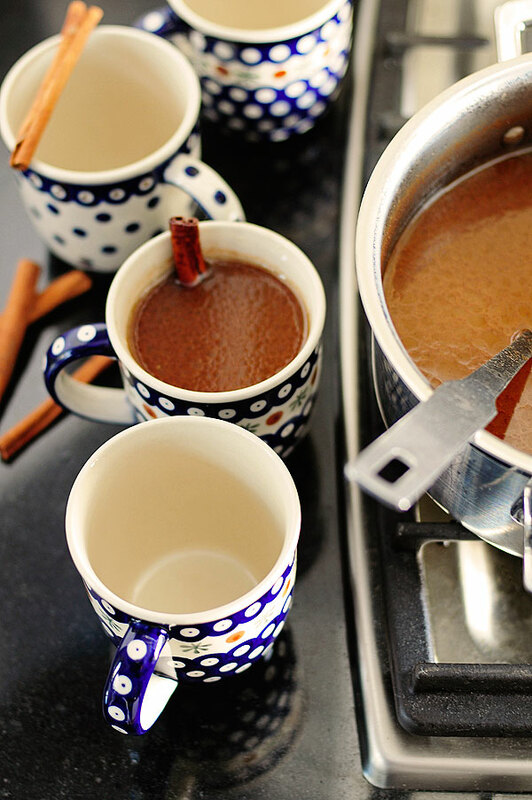 A variety of recipes for Hot Buttered Rum can be found online. Many are prepared by making a “butter batter,” some use water as the base, while apple cider serves as the core (get it, core, apple?) for others. I’ve never prepared it with a batter, which does seems handy for preparing a glass or two on the fly, but instead make a full batch, left warming to serve straight from the stove. The recipe that follows is for that method, and serves not only as a cup of comfort, but it creates the perfect inviting aroma while it simmers away. As I mentioned I leave the pot with a ladle on the stove, on low heat, with mugs, the rum, cinnamon sticks for stirrers, ground nutmeg and/or cinnamon for extra garnish, and sometimes fresh whipped cream too for self-serve. 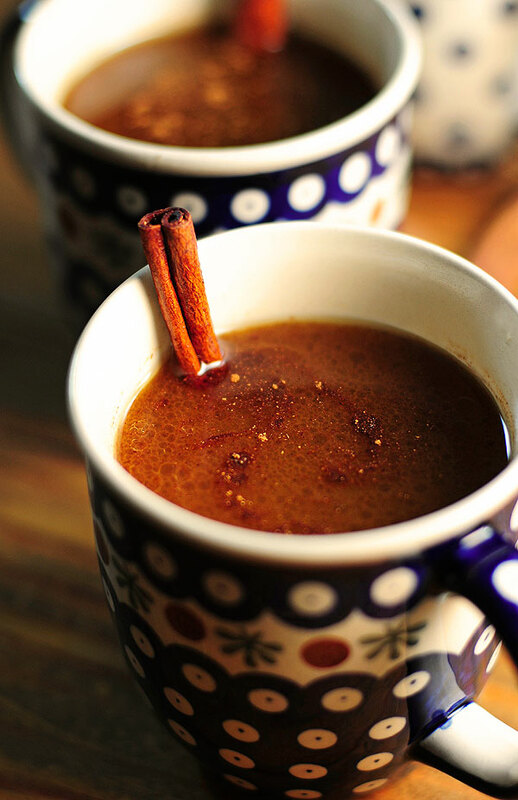 It’s a veritable Hot Buttered Rum bar, for sure. For a non-alcoholic version, just don’t add the rum. It’s mighty fine both ways. 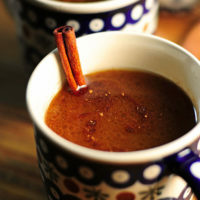 A dark rum is preferred by most for Hot Buttered Rum. 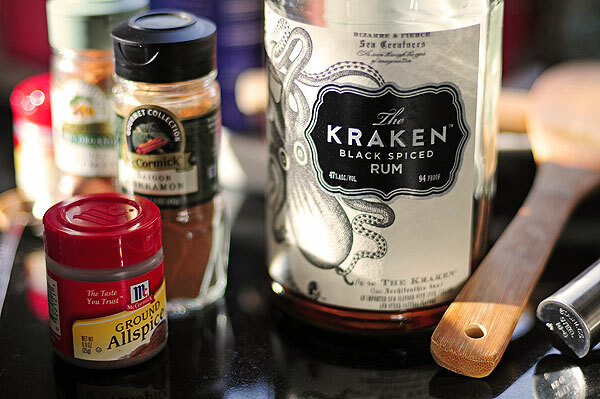 I’ve been using a black spiced rum for baking and other mixed drinks, mostly because it makes me feel like a pirate–argh! While it was nice in the Hot Buttered Rum, I think a quality dark rum would be best. An amber rum would be nice as well, but use what you like or have on hand, just know that a good dark or amber rum will tend to have deeper caramel/molasses flavors. Like most recipes, you should taste before serving and adjust to preference. 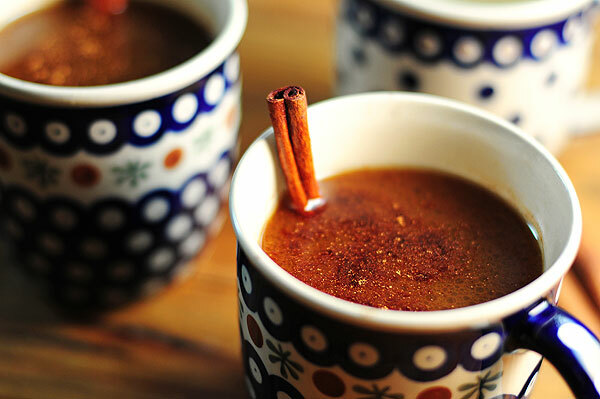 Think of the recipe below as a base and build your own Hot Buttered Rum the way you like it. Ground ginger is a nice addition, as well as orange and or lemon slices. Make it your own! Enjoy! And remember, drink responsibly, and legally. The perfect drink for a cold night. Can be made non-alcoholic too. Bring water, cider, brown sugar, cinnamon, nutmeg, allspice, and butter to a simmer, and maintain a strong simmer (or low boil) for about 15 minutes, whisking/stiring occasionally. 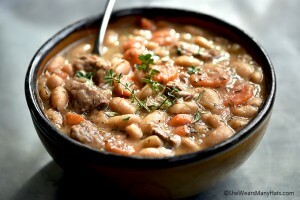 Reduce heat and keep warm until ready to serve. Whisk/stir well before ladling into mugs. Add desired amount of rum. Yo ho! Optional: Add a dollop of whipped cream, garnish with additional ground cinnamon and/or nutmeg. This is a straight up glass of gold! Delicious! This is first time I hear of this drink. If you didn’t tell me it was a cocktail, I would think it is gravy for roasted beef. I’m not so sure about adding butter into my drink. It’s interesting though. Thank you for sharing this recipe! We love the movie, White Christmas, and wondered how to make the “hot buttered rum” mentioned in White Christmas! We will definitely serve “hot buttered rum” Christmas Eve as the family gathers! Comfort in a mug! 🙂 It’s beautiful! My father in law used to have this whenever he had a cold. He used to add hot water, sugar and a knob of butter… sounds horrible but really worked a treat???? Amy, your hot buttered rum has made our Christmas truly special. 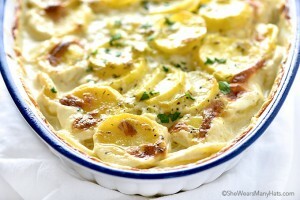 Thank you for sharing this delightful recipe. I hope your Christmas and New Years is perfect.